Sunday January 20th. Meet @ Nordoff H.S @ 9am. 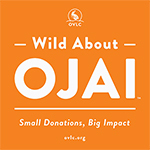 Join us on this challenging hike. 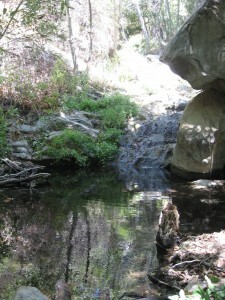 The trail follows Potrero John creek through a narrow gorge and up the canyon. 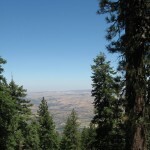 There are open meadows dotted with red manzanita trees and magnificent views of the surrounding mountains. The day will be filled with adventure and memories. Our goal is to reach the beautiful waterfall. This is where we will rest and enjoy lunch. This hike is approx. 8 miles round trip. This is not a technically challenging trail until we reach the falls. 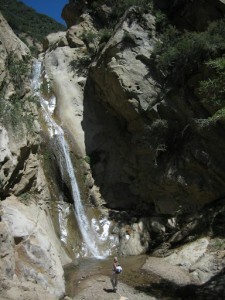 At this point you can stay or proceed to the falls. 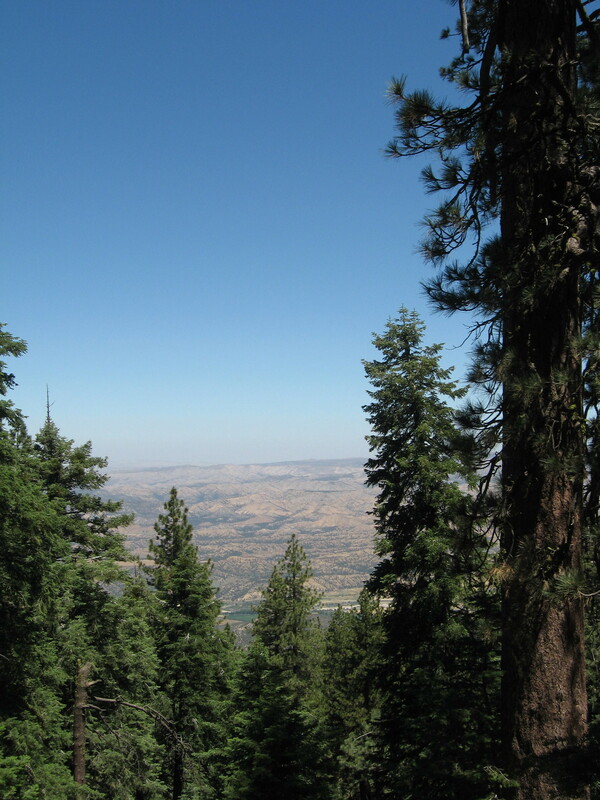 Cost for this hike is $20 per person. Trail dogs are welcome. Join us on this exquisite journey. We will travel across the channel in our own charted boat . The sea life is thriving on this journey across the channel and we may even see some of the 28 species of whales and dolphins. Once we arrive at the island we will start kayaking and heading south, concentrating on some of the largest caves the island has to offer. 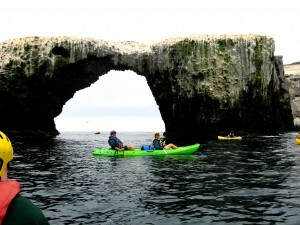 We will then kayak through the famous arch and visit the Northern Fur Seal rookery on the back side of the island. Anacapa Island has the largest Brown Pelican Rookery in the United States. A trip you won’t want to miss! A trip you will never forget! Warm cloths for the channel crossing, a change of cloths for the trip back, and also cloths to kayak in, (wet suits work well if you have one). Snacks for the kayaks as well as a hearty lunch. This is a full day. You will be able to keep food on the boat, so a small cooler is OK.
Bring lots of water and if you bring a camera, wrap it in a water proof bag or zip lock bag or 2. We recommend bike gloves for your hands, a good hat and sunscreen_sun glasses as well. Mask and snorkel if you want. Cost for this day is $175 per person which includes chartered boat, Kayaks, paddles, life vest, helmets, and the best guides ever. Please specify if you want a single or double kayak. Space for this trip is limited and we will also need a deposit of $100 to reserve your spot. Please be at the dock @ 8am for check-in and safety instructions. We will depart @ 8:30am sharp, returning around 3:30pm. If you have questions please contact us at robert@goojai.com or susan@goojai.com Roberts cell (805)798-2810 / Susan’s cell (805)701-0221.